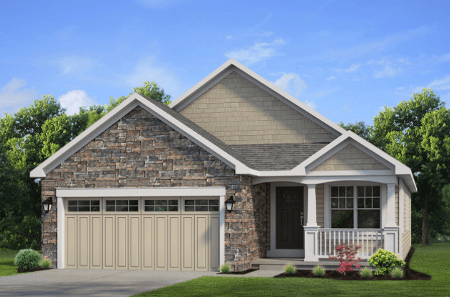 Find your MOVE-IN READY home here – Marrano is building new homes throughout Western New York that are available right now. 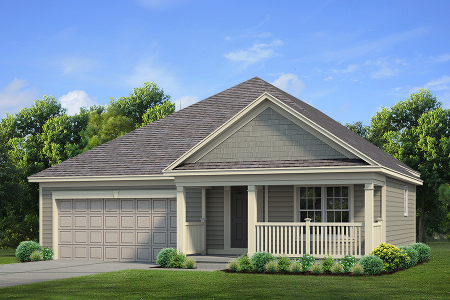 Our new homes are located in Amherst, Clarence, Williamsville, Lancaster, West Seneca, Hamburg, and Orchard Park. Open concept Ranch home with hard wood floors throughout. Beautiful and bright kitchen with light cabinets, Zodiaq marblemist countertops and walk-in pantry. Large master suite with walk-in closet and private bath. Enjoy the serenity with the treed views from your sunroom. You can make this home yours for just $334,900. 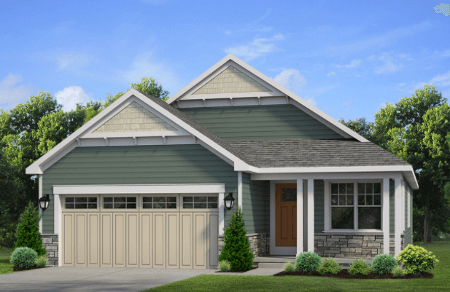 This new 2 bedroom patio home in Marrano’s newest community, Windstone. Features include an open, expanded kitchen layout, Living Room / Dining Room combination with fireplace. The added loft area features a full bath with shower. Bathrooms include upgraded cabinets with Quartz countertop and tub surrounds. 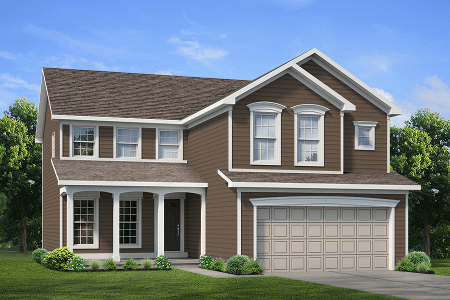 Other features include central air, Pella windows, front elevation with vinyl shake shingle siding, board and batten shutters and full front porch with vinyl railings. Priced to sell quickly at just $434,900. Schedule your appointment today! The new 2 bedroom ranch home is complete and ready for you! The stunning home has all the amenities you need. Featuring an open Kitchen which gives you expansive views into the Living Room / Dining Room. Kitchen features upgraded cabinetry with quartz countertops. Main and Master baths feature quartz countertops with tiled tub / shower areas with upgraded tiles. Tray ceilings featured in Living Room / Dining Room and Master Bedroom. Additional features include Fireplace, Hardwood floors, central air, Pella windows, and cultured stone on front elevation. All at an amazing value of $424,900. This new 2 bedroom, 2 bathroom patio home is under construction and ready for spring move in. This home has a expanded loft with WIC. This home features a large sunroom, with expanded kitchen which is open to a huge Living Room and Dining Room combination. Hardwood floors are throughout the main living space. The Master Bedroom features a beautiful bathroom with ceramic tiled shower, and a large WIC. Other high end amenities, include beautiful upgraded cabinetry in the kitchen and both bathrooms, ceramic tile floors, central air, Pella Windows and Cultured Stone. All these features and so much more for just $479,900. 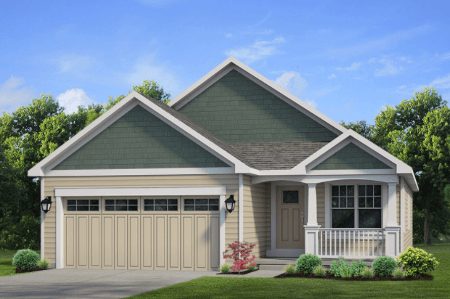 The new 2 bedroom, 2 bath ranch home is complete and ready for you to call home in Marrano’s hottest new community! Features include a large Living Room/Dining Room combination, which leads into a stunning bright Sunroom. The Living Room/Dining Room features a tray ceiling and beautiful fireplace with an upgraded mantle. Features include upgraded cabinetry in the Kitchen and both bathrooms. Front elevation includes vinyl shake shingle siding with shutters. Other features include central air and Pella windows. This home won’t be around for long at just $424,900. Townhomes at Windstone offers a spectacular location on the escarpment overlooking the Country Club of Buffalo. 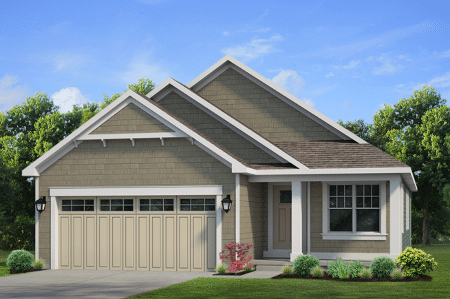 This brand-new, open floor plan includes a one-car attached garage, full 8-foot basement, two bedrooms, 2-1/2 baths, first-floor laundry, master bedroom suite with large walk-in closet plus a private bath with ceramic tile shower. 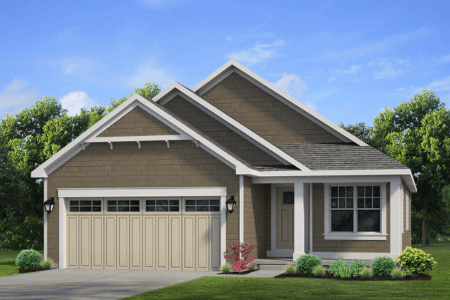 Extra features include granite countertops in the kitchen and baths, recessed lighting, beautiful Homecrest cabinetry, hardwood floors throughout the first floor, Pella windows, sliding glass door with blinds between the glass, and so much more. What are you waiting for? Priced to sell at $289,900. 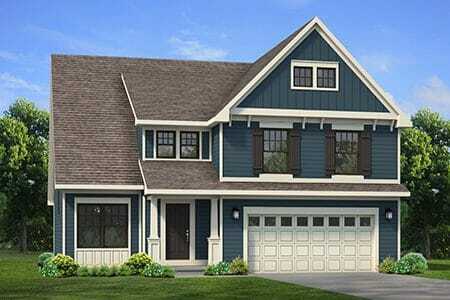 Open, fresh townhome floor plan showcasing 3 bedrooms, 2-1/2 baths, 2nd-floor laundry, master suite with large walk-in closet and private bath with 2-sink vanity and ceramic walk-in shower, 8-foot full basement and two-car attached garage. You’ll be impressed by the attention to detail with features like beautiful wood railings at the staircase and overlooking the foyer, hardwood flooring throughout the first floor, granite countertops in the kitchen and baths, composite deck with privacy panel off the dinette rear, central air conditioning, Skybell video front doorbell, Pella windows with blinds between the glass at the sliding glass door, and architectural roofing shingles. This home has it all! $356,900.